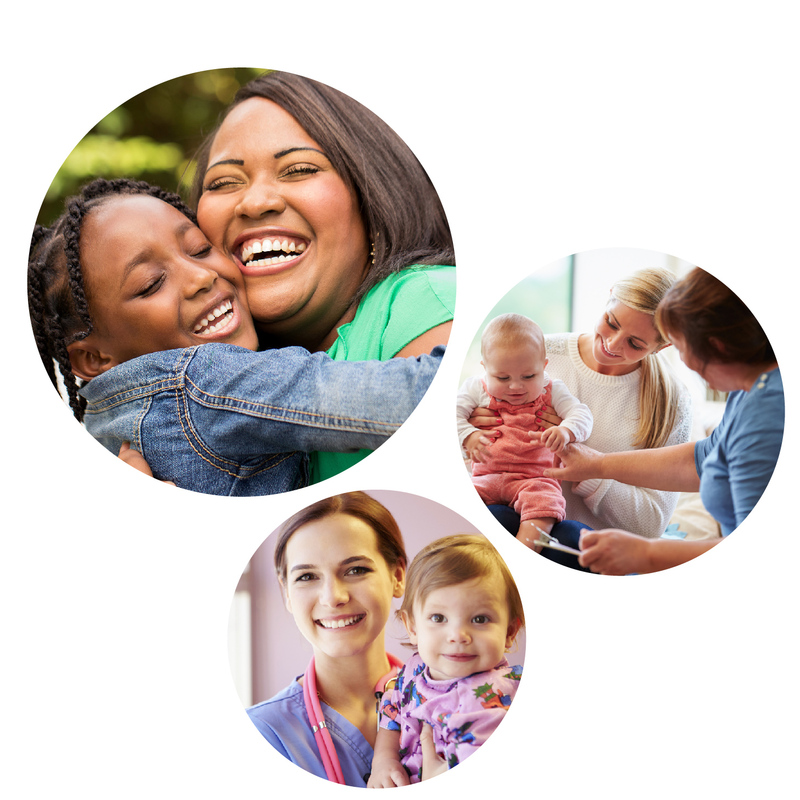 At ChildServe, no position is ever “just a job.” From nurses, direct caregivers, and therapists, to medical professionals, administrators and everything in between, a position at ChildServe allows you to leave work everyday knowing that you have helped to improve the lives of children and families. As a non-profit organization, ChildServe lives at the crossroad of compassion for children and expert healthcare. We offer premier services, uniquely equipped facilities, and state-of-the-art technology to children with special healthcare needs and their families. ChildServe’s staff and community members love working together to help kids and young adults live better lives. Our emphasis on caring for our staff member’s needs, professional development, and education can be seen through our recent awards. 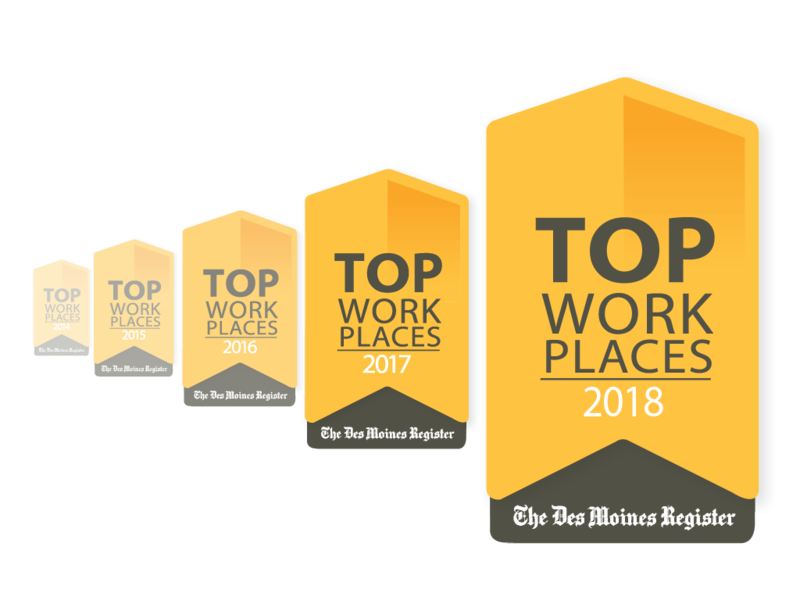 In 2018, we were the highest ranked non-profit on the Top Workplaces in Iowa list. We were also the highest-ranked large non-profit for the past three years. Our mission is simple: We partner with families to help children with special healthcare needs live a great life. The children and young adults we serve inspire us to provide possibilities and improve quality of life in a caring environment. At ChildServe, we believe that caring for your employees is the foundation for a healthy organization. We offer comprehensive healthcare, dental, vision, and flex insurance programs for staff and their families. We provide paid time off, unpaid leave programs, short-term disability, paid long-term disability, and paid life insurance. Our retirement savings plan includes company match to support employees in the future. ChildServe was named one of America’s healthiest companies by the Wellness Council of America (WELCOA). Our award-winning wellness program encourages staff to care for their physical and mental well-being, helps build healthy habits, provides events like exercise classes, and promotes a healthy work-life balance. We invest in our employees’ long-term well-being, and help them manage their health through our wellness initiatives and paid employee assistance program. At ChildServe, we believe learning is a lifelong journey. That’s why we offer a robust educational program for employees in all departments to increase a broad range of skills. We provide clinical training and other resources to physicians, nurses, case managers, therapists, and other health care providers. Management, customer service, and leadership trainings give all employees the tools to develop their professional skills. We also prioritize helping employees make progress toward their career goals through higher education. Through partnerships with Purdue University Global and Upper Iowa University, ChildServe employees and their families have access to discounted tuition rates for a wide range of courses and programs. Experience in the workforce makes a resume shine. ChildServe provides internship opportunities with the student in mind. Our paid or for-credit internship opportunities take place in ChildServe’s dynamic, fast-paced environment. We provide realistic workplace experience across multiple departments. Upon the completion of an internship, there may be a possibility for full-time employment. The children that we work with have so much to teach us if we take the time to let them. I am thankful that I get the chance to learn from them and their families on a daily basis. Get notifications sent to your email as new opportunities are posted. How many children does ChildServe support? Nearly 4,500 children from Iowa and surrounding states receive services from ChildServe. How large of an organization is ChildServe? ChildServe currently has over 1,400 employees, and we are continuing to grow and expand our services to help more children and families. What types of benefits are available for employees? Full time employees who are regularly scheduled 30 hours or more per week are eligible for full benefits. Part time employees are eligible for limited benefits. Per Diem staff are eligible for retirement benefits only. What population does ChildServe support? We offer a variety of services to children with special healthcare needs from birth to age 21. Our integrated childcare centers serve children who are typically developing along with children with special healthcare needs. How do I apply for a job at ChildServe? View our openings here. Fill out the online application, and when you are finished, click submit. You will receive an automatic “Thank You” confirmation on the screen if you have input all necessary information. If you do not receive this confirmation, the application was not submitted. Check for errors listed at the top of the page in red and correct these errors. ChildServe‘s organizational goal for days to hire is 30 days. Once you’ve submitted your application, an individual from our recruitment team will follow up with you on next steps. What is the difference between the staff classifications of employment? Full time employment: 30 or more regularly scheduled hours per week. Full-time staff are eligible for full benefits. Part time employment: 16 to 29 regularly scheduled hours per week. Part-time staff are eligible for limited staff benefits. Per Diem (PRN) employment: a schedule of hours that fluctuate depending on assignment and staff availability. Per Diem staff are eligible for retirement benefits. Seasonal/Interns: regularly scheduled between 1 and 40 hours per week for a specified time period. Seasonal staff and interns are not eligible for benefits. Non-Exempt/Exempt: Non-exempt staff are paid a regular rate per hour for the number of hours worked during a pay period. Exempt staff are paid for the work performed and not by the hour. Exempt staff are not eligible for overtime. For technical support while completing an application, please complete the form below, or call 515-727-8750 and ask to speak with Recruitment.